When a piece of equipment needs servicing, workers must take caution to lock it correctly when performing maintenance tasks. When lockout/tagout is done improperly, major injuries and fatalities can—and do—occur as a result. There are many ways lockout/tagout can go wrong but three major factors, in particular, can spell disaster in any workplace. Before performing servicing or maintenance activities, authorized employees must ensure that controls are responsive. They must always be able to shut down the machine, disconnect and isolate it from its energy source, and perform lockout/tagout without anything being amiss. Furthermore, the machine’s components should be inspected to ensure they’re intact and that other workers are positioned at a safe distance. Beginning a task without adequate testing can pose a great deal of danger. It’s also important for workers to always check for—and lock out—secondary sources of hazardous energy, such as pneumatic, hydraulic or spring-loaded parts that can release stored energy when workers least expect it. Verifying that all energy sources are locked out is vital. 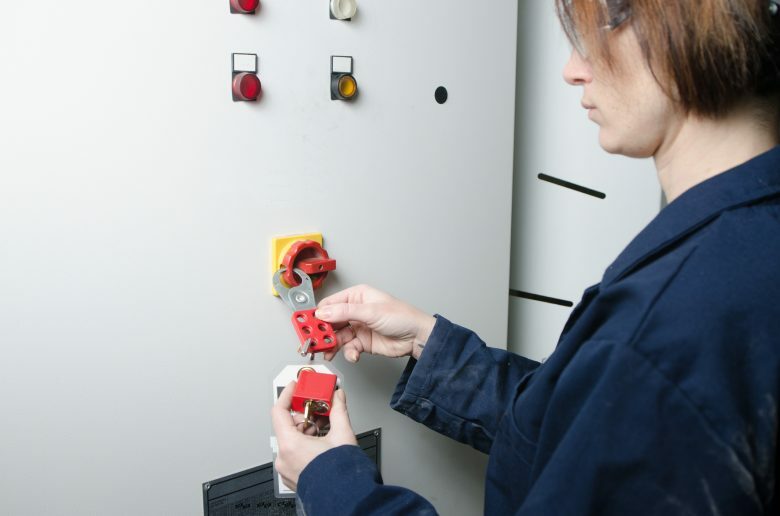 Controls should also be tested as part of the lockout/tagout process to ensure that the machine cannot be started. Additionally, if service or maintenance is being performed by more than one person, each worker should verify the lockout is complete and the machine cannot be started. Specific safety procedures should be written for each piece of equipment and reviewed before every maintenance job. Lockout/tagout procedures must be enforced by the employer, and each individual worker should see it as their personal responsibility to follow LOTO requirements. Consistency is vital, which is why employers must provide adequate training and refreshers. Additionally, performing regular inspections of energy control procedures is critically important, and a monitoring process to ensure best practices (including spot inspections and yearly audits) should be established. Without proper procedures being enforced, workers may make very basic—but costly—mistakes like asking their colleagues to perform lockout for them. Marking locks and tags with each person’s name or photo can stop good-intentioned workers from using (or removing) someone else’s locks or tags. This is also the reason why duplicate keys should never be used (with the exception of a LOTO administrator in very specific circumstances). It’s a recipe for disaster if two or more employees are working on a machine but only one of them uses a lock. Nobody’s safety should rely on another person’s memory or concentration in LOTO-related operations. Human factors can cause numerous avoidable incidents. For example, complacency causes workers to ignore risk factors associated with LOTO, like thinking that a minor servicing job will only take a minute and therefore might not require a lock. Alternatively, even after an employee performs a proper lockout, they may feel rushed to complete a task and fail to test the controls. How about the serious danger of fatigue? A fatigued worker may not notice that they haven’t locked their lock properly—now at any point, another person may remove it, assuming that the lock was simply forgotten and unknowingly putting someone’s life at stake. Human factors affect worker safety every day and it isn’t until they’re brought to everyone’s attention through training that they can be addressed properly. Lockout/tagout must be taken seriously by employees and their managers, as must the human factors that influence LOTO procedures. In a workplace with numerous hazards, a strong culture of safety must be established, encouraging workers to monitor their own state of mind, emotional reactions and level of awareness. This helps workers follow LOTO procedures, test controls, and keep potentially dangerous energies and machinery safely locked.